9.12am: POLICE have advised a 64-year old man is assisting them with their enquiries, following the suspicious death of two people at a Calliope caravan park. He was arrested and taken in to custody overnight. Police also said the man and woman were known to each other. EARLIER: A MAN and woman have died after suffering significant injuries at a Central Queensland caravan park. Police are treating the deaths as suspicious. Officers have established a Forward Command Post at the Calliope Caravan Park as investigations into the suspicious deaths continue. Police were called to the Stowe Road complex about 5pm on Thursday when a 63-year-old man was found outside his caravan with significant head injuries. The man was taken to Gladstone Hospital where he was pronounced deceased. Police investigations led them to a nearby caravan where they found the body of a 60-year-old woman inside her van with significant injuries. Update 1: Suspicious death investigation, Calliope - The deaths of a man and woman at a Calliope caravan park yesterday is being treated as suspicious as detectives and scientific / scenes of crime officers remain at the scene. 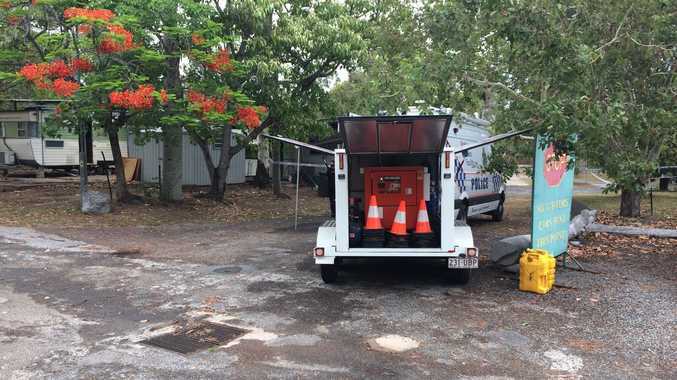 Crime scenes have been declared at both caravan sites with Scientific and Scenes of Crime officers processing the areas and uniform and detectives canvassing the caravan park. A police Investigation Centre has been established at the Gladstone Police Station with detectives from the Homicide Investigation Unit arriving today to help local detectives. Detective Inspector Darrin Shadlow, Crime Services, said the man and woman were known to each other and the deaths were being treated as suspicious. 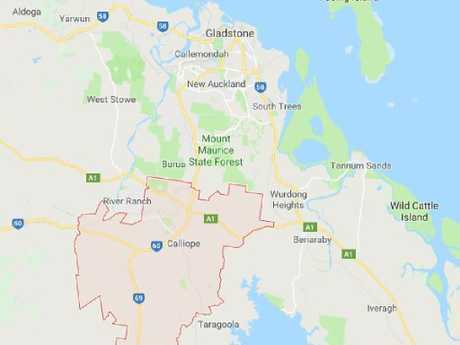 "Police and emergency services were called after a resident of the caravan park located the deceased man with a significant head trauma," he said. "Our investigations to date indicate that the incidents may have occurred sometime between 3.30 and 4.40pm yesterday and we are appealing for anyone who may have noticed or heard something or seen anyone suspicious, or something out of the ordinary, to contact us." EARLIER: Police are on the scene at a caravan park near Gladstone after the death of two people. A police media statement said police were called to the Calliope caravan park about 5pm on Thursday afternoon. They located two bodies, and declared a crime scene. Detectives are now working to determine the causes of death and the identities of the two persons. A Police media spokeswoman said investigators were on the scene at Stowe Rd, Calliope. Police said there were no further details available to the public at this time.